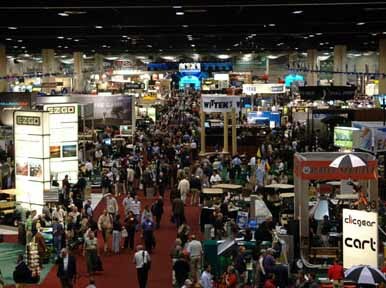 Coming to you live for the next few days from the PGA Merchandise Show in Orlando. Landed last night; I’ll check in this afternoon. Show starts tomorrow. Even before Tiger's crackup, I would get variations of this question all the time. There seems to be a widespread belief that reporters live in mortal fear of somehow being blacklisted by Woods. The truth is that no one was getting much access before and he's going to be even more locked-down in the future, so who cares if doesn't like what we're writing? A couple of years ago John Garrity wrote a long, engaging cover story about Tiger. He was granted an audience with Woods that lasted exactly ten minutes. Those were the good old days? I think Tiger's dealings with the media will be downright Nixonian upon his return. 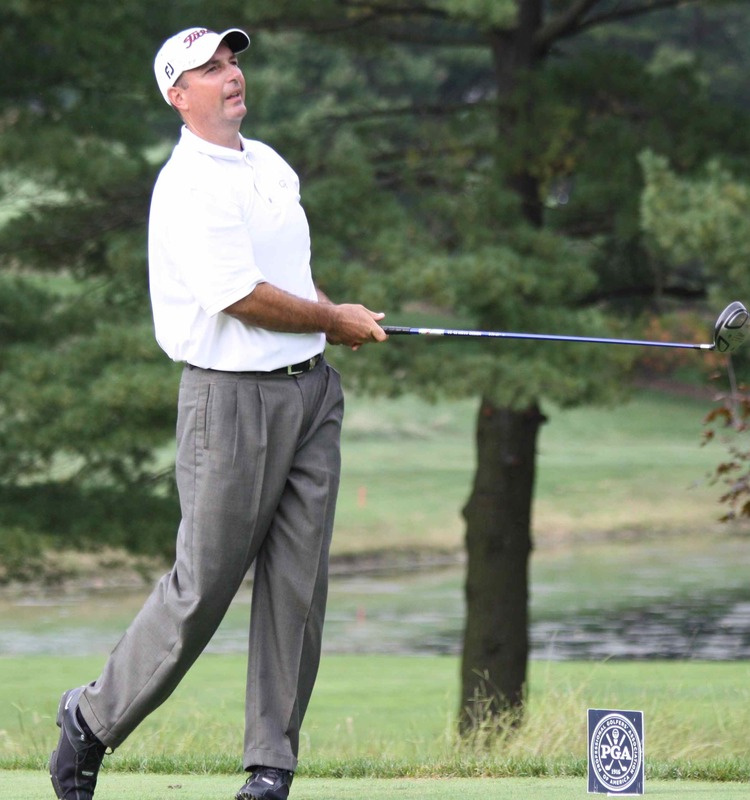 At Llanerch CC in Havertown, Chris Wilkinson, formerly at The Ridgewood CC in New Jersey, takes over. At McCall Golf & Country Club in Upper Darby, Eric Figueroa, former assistant at Stonewall, becomes head pro. At Applebrook GC in Malvern, Dave McNabb, longtime pro at Cavaliers CC in Newark, Del., is the new head pro. 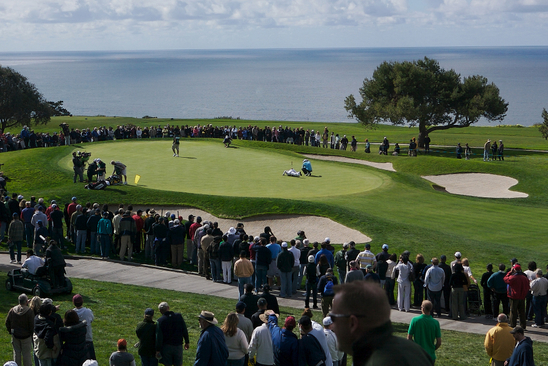 With only a week left before show time, the PGA Tour announced Monday that they’ve finally landed a title sponsor for the Tour stop at Torrey Pines in San Diego: The Farmers Insurance Group of Companies. Never mind what kind of discount rate The Farmers Exchange likely got; you can almost hear the Tour breathing a big sigh of relief for the tournament formerly known as the Buick Invitational. Even with the economy as lousy as it is, for a proud and well-established tournament played on an ocean-side paradise, it looked extremely bad to go sponsor-less, even for a year. As late as last week, the San Diego Union was reporting that it was "all but certain" that for this year anyway, the tournament would simply be called the "San Diego Open." As welcome has the last-minute news is for the Tour and the tournament, let’s face it: what we have here is the equivalent of 2 a.m. closing time at the singles bar. Everyone suddenly starts to look better, even as the lights go up. "We couldn’t be more pleased that Farmers Insurance has stepped forward..." began a statement from Commissioner Tim Finchem. No word on whether he had his face buried in his hands when he said that. Tom Worsnam, general chairman of the tournament, called Farmers "truly a knight in shining armor." For now, the tournament will be called The Farmers Insurance Open and – hot diggity dog --there’s an option to extend the sponsorship. Of course, after next week, in the morning light, let’s see if the Tour and the Farmers Exchange ask for each other’s phone numbers. Wednesday night, A&E Biography rebroadcast it’s profile of Tiger Woods, which, given recent developments, is difficult to watch without laughing. It spent 58 minutes recalling and marveling at the Tiger of Old – the super-human golfer (14 majors, 71 PGA Tour victories), and humanitarian (Tiger Woods Foundation) and loving son, husband and father. Oh, the days not so long ago, when all was still perfect in Tiger World. In the Biography profile, Tiger smiles his Chicklet-toothed smile, and we are treated to a career highlight reel of his 350-yard drives, his putts that can’t possibly go in the hole until they do, and the reaction of the awestruck sports fans. Now that everyone is so disappointed and disgusted with Tiger, it’s enough to make you remember what the fuss is all about. In the many interview clips of Tiger, he comes off as likeable, clean-cut, earnest, determined to become the greatest player in the history of the game. In interview after interview, TV commentators (David Feherty, Lanny Wadkins, Mike Tirico), golf writers (Jaime Diaz, Tim Rosaforte), legends of the game (Arnold Palmer, Jack Nicklaus), other incomparable athletes (Michael Jordan, Lance Armstrong, Wayne Gretzky), pals (Mark O’Meara, John Cook) and his agent (Mark Steinberg) kneel at the Alter of Tiger, as we all did. They go on endlessly and profusely about Tiger’s incredible ability, his unmatched work ethic, his concentration, his dedication – all the things that made Tiger almost too perfect to be true. Of course, we now know that the Tiger we thought we knew didn’t really exist – the image he created was too perfect to be true. Even he couldn’t live up it. His perfect world was not what it seemed. It isn’t until the final couple of minutes of hour-long the Biography profile that they’ve inserted an updated account of his collapsing world. They show the seamy tabloid covers, the now-familiar aerial shots of Tiger crash scene outside his house and a partial parade of his alleged mistresses. When it was over, all I could do was sigh and shake my head. What a shame. What a damn shame. Even with Tiger Woods’ severely stained image, the announcement that he will play in the AT&T National over the July 4th weekend is great news for the tournament, Aronimink GC and sports fans in the area. Say what you will about him as a husband, father and man, but Tiger is still the best golfer in the world and the biggest attraction in the game. Without him, the AT&T would have been like throwing a party and having the guest of honor be a no-show. With Tiger in, the buzz around the tournament will increase, ticket sales will get a good bump and whatever hospitality packages remain unsold will become a lot easier to sell. Best of all, for the first time in his storied 14-year career. Philadelphia sports fans will finally be able to see him do what he does up close and personal. If you’re wondering where Tiger will stay during the tournament, don’t expect him to occupy the Presidential Suite of a luxury hotel. The talk is that he has already rented the home of an Aronimink member in the vicinity of the course. That’s fairly common for Camp Tiger. 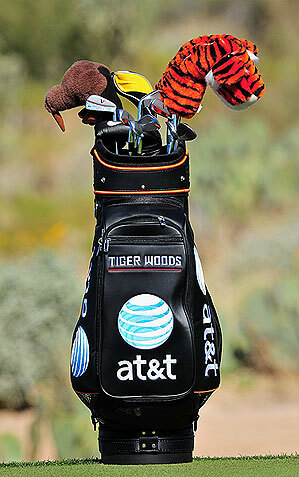 An unannounced visit to Aronimink by Tiger in the coming weeks is not out of the question. So far as I can tell, he has never played the course, and he might like to sneak in a preview round or two. Staff and members at Aronimink talk of only one previous visit by Tiger. That was more than a year ago, shortly before the announcement that the AT&T was temporarily relocating to Aronimink for 2010 and 2011. That, too, was unannounced, catching even Aronimink staff off guard. Tiger and a staffer from the Tiger Woods Foundation, which runs the tournament, showed up at the Newtown Square club, took a tour of the course in a golf cart, then left as quietly as they arrived. Well, there’s always the Open at Merion in 2014. I assume everything will have settled down by then! Is it possible that I’m starting to feel sorry for Tiger? Just when I thought Tiger Woods and by extension golf had taken the worst hits they could take, someone pointed out this story in the Los Angeles Times. It doesn't matter if you're backing Davis Love III or Ernie Els or Vijay Singh; save your money. Honda, Deutsche Bank, MasterCard, Shell, make a break for it. For the immediate future, the branding opportunities of professional golf have been utterly vacated by l'affair d'tigre. 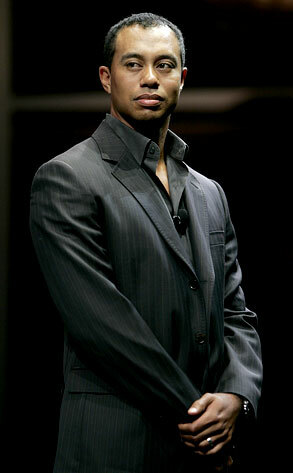 Tiger Woods was and is the sum and whole of the game. He was and is the purest, most unalloyed product of the sport and culture of golf. And when all that is golf was cooked in fate's crucible and poured down this young man's gullet, the result was the perfect player who hasn't breathed an honest breath in years, a jerk -- Joe Francis with a 400-yard drive. 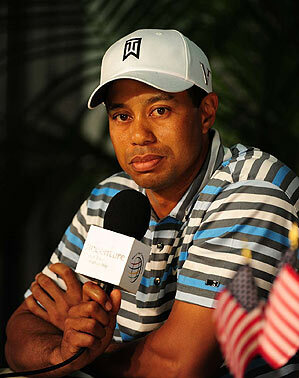 Tiger's failure is golf's summary bankruptcy and indictment.? Camelot fell when Lancelot sinned against the realm. Same deal here. Get out now, sponsors. The golf brand has been wrecked.? Now, I am not an expert in advertising, or in branding, or in corporate imaging. But I have been around the block once or twice, and I believe that Dan Neil's analysis of the situation is overwrought to the point of being apocalyptic. This whole Tiger Mess is indeed a mess. But it doesn't spell the end of the PGA Tour and it certainly doesn't mean the end of golf as we know it. For one thing, Dan Neil's assessment of the situation and of the state of the game make me think he is not a golfer nor is he a long-time golf fan. To me, he comes off like some Johnny Come Lately to golf, one of the folks who did not know the game existed before Tiger and doesn't see how it can possibly survive once he retires. You and I know different. Tiger has brought a certain cache to the game, and he made it hip in some quarters where it wasn't before, and he has grown the TV ratings. But Tiger is not all there is to golf. Watching him play is one thing; playing my own game is infinitely more enjoyable. So, I'm willing to bet the game will manage to muddle through for another 400 years once Tiger is gone. For another thing, if there is one thing we Americans like more than seeing the high and mighty get cut down a notch or three, it's seeing them admit the errors of their ways, grovel for forgiveness, then undertake the slow, uphill slog toward redemption. Actually, this might be a good place to note that I am beginning to feel the stirrings of, well, Tiger-Bashing Fatigue. When the news of his truly reprehensible behavior first broke, I was as angry and disappointed as anybody. As the mistresses multiplied, I became more and more incredulous. How could he do this? How could this guy be so duplicitous and untrue to the image of Mr. Perfect that he worked so hard to create? But after three-plus weeks of relentless battering by the tabloid, gossip and mainstream media, I find myself almost feeling sorry for the guy. What he did was rotten to the core, but he didn't kill anybody, he didn't steal from Little Sisters of the Poor, he didn't provide safe haven for Osama bin Laden and he didn't sell out his country. Getting right with his wife is going to take some work, assuming she is even willing to give him a chance. Good luck with that. As for getting right with the rest of us, if and when he decides to come back, demonstrating a little humility and flawed humanity will go a long way. If he will just lose the Superman Complex and remove all pretense that he is invincible, invulnerable and immune, Tiger can begin to win back his squandered support and good will. The days of looking up to Tiger are over; now, people just want to look him in the eye and trust what they are seeing. I think most people would just like to see and hear from Tiger now. Where is he?